Is There a Racial Volatility Gap? The median wealth of white families was over $100,000 higher than the median wealth of both African American and Hispanic families in 2011. This is the first in a series of blog posts on racial and gender disparities in income volatility. Please check back regularly for future installments, which will include interviews with scholars and reactions to this post. Racial inequality is an undeniable, distressing feature of America’s economy. In both income and wealth, Hispanic and African American households are far behind non-Hispanic white and Asian households. Median white household income is almost $20,000 higher than Hispanic income, and nearly $25,000 higher than African American income. Wealth disparities are even more vast; the median wealth of white families was over $100,000 higher than the median wealth of both African American and Hispanic families in 2011. However, there is another type of inequality that has barely been explored – inequality of income volatility. Researchers in the field of financial security have begun to recognize that it is not just the amount of income, but also the ups and downs of income, that affect financial well-being. 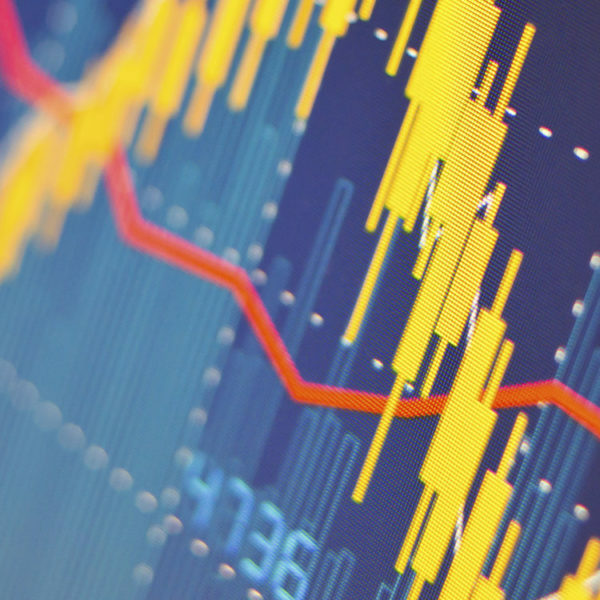 In the past several years, academics, government, and think-tanks alike have conducted research examining the sources, prevalence, and implications of income volatility. Indeed, the confluence of actors beginning to work on the issue is one reason EPIC chose volatility as its first focus area. But despite the recent proliferation of research, we still do not know a lot about the relationship between income volatility and race or ethnicity. This is concerning because income volatility can have negative consequences on families’ financial and physical health, and racial disparities in wealth, health, and access to financial services could exacerbate these consequences. Looking at these other determinants of volatility, we find some potential sources of the racial volatility gap. Part of the story is that African Americans, Hispanics, and individuals in the Other race category have lower incomes and lower rates of full-time work compared to white and Asian individuals (see table below). These findings suggest that the racial volatility gap reflects broader structural discrimination in the labor market. The racial volatility gap has important implications for the volatility solutions agenda. Because people of color experience greater income volatility, solutions to income volatility must be inclusive. We cannot assume that all low-income people experience income volatility the same way, or have access to the same financial institutions, financial products, employment options, or social networks. 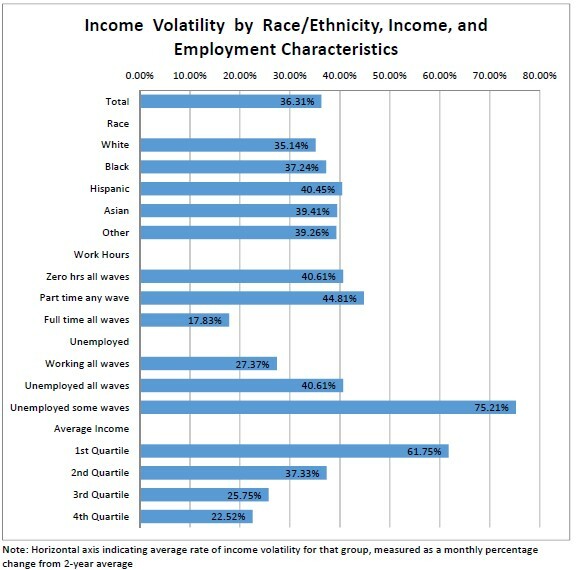 Additionally, more research is needed on the connection between race and income volatility to better understand causes of the gap and move closer to a consensus on this issue. Judith Garber is a recent graduate of the Heller School for Social Policy and Management at Brandeis University and a former intern with the Financial Security Program at The Aspen Institute. Her original research on income volatility and race was conducted as part of her Master’s program and can be read in full here.